Stocks were in the pre-holiday doldrums Tuesday. Volume was light. But the market continued its record run and shares of a number of major retailers were on the move ahead of Black Friday. The Dow Jones industrial average, the S&P 500 and the Nasdaq all ended with modest gains. The Nasdaq closed above 4,000 for the first time in 13 years. The Dow gained a fraction of a point to hit another record closing high while the S&P 500 finished near its all-time peak. After the market closed, Hewlett-Packard (HPQ)reported quarterly earnings that topped analysts' forecasts and issued an upbeat outlook for full-year profits. CEO Meg Whitman said the company's turnaround remains on track, but she acknowledged that there is "much work to do." Shares rose sharply in extended trading. 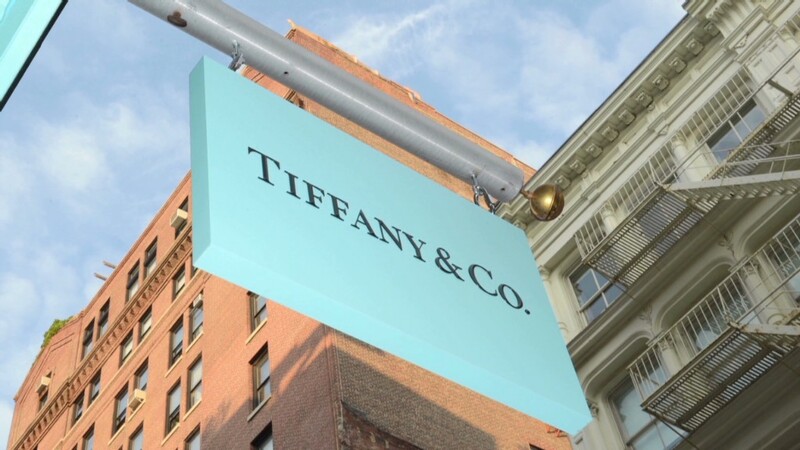 Tiffany & Co. (TIF) shares soared to an all-time high after the jewelry retailer said sales and earnings surged in the third quarter, driven by strong demand in China. Shares of struggling retailer J.C. Penney (JCP) also rose after CEO Mike Ullman spent $1 million to buy 112,000 shares, according to a regulatory filing. The move seemed to boost confidence in J.C. Penney's turnaround plan. 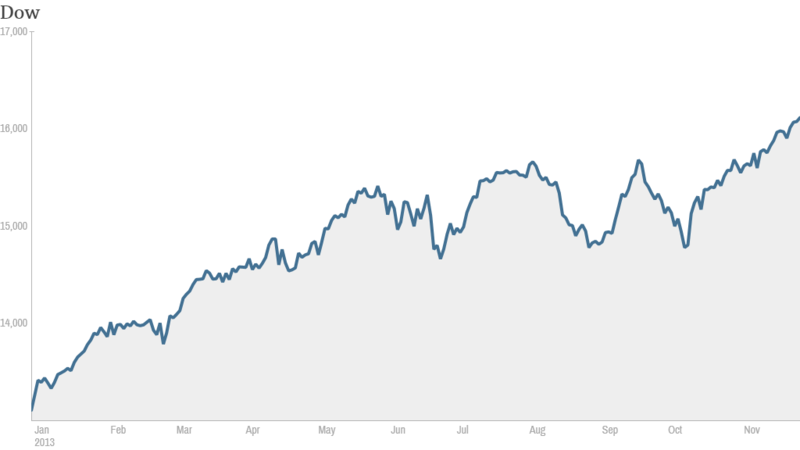 The worst performing stock in the S&P 500 this year, J.C. Penney has bounced back 25% in the past month. There was a new twist in the ongoing Men's Warehouse saga. Shares of Jos. A. Bank (JOSB) surged after Men's Wearhouse (MW) offered to buy the rival suit seller for $1.5 billion. The offer comes weeks after Jos. A Banks made a hostile takeover bid for Men's Warehouse, which is also facing a proxy fight by its largest shareholder. The news unleashed a slew of jokes on StockTwits, most of which revolved around Men's Wearhouse founder George Zimmer's famous tag line and the buy one get one free offers at Jos A. Bank. "$JOSB $MW Buy one get one free...Your going to like the way you look..." said Mitchnole. Barnes & Noble (BKS)shares fell after the bookseller reported disappointing quarterly results as sales of the Nook e-reader continue to plunge. But excluding Nook sales, the results were not that bad, according to one StockTwits trader. "As you can see. quarter was decent. definitely not a sinking ship, but not great either... $BKS," said MicroFundy. The retail sector is in focus as consumers gear up for the holiday shopping frenzy, which unofficially begins on Black Friday. Overall, sales growth is expected to be the weakest since 2008, according to predictions from Morgan Stanley. In an ominous sign, consumer confidence fell in November, following a sharp drop in October, according to a closely watched index from the Conference Board. "This could be a challenging holiday season for retailers," said Lynn Franco, an economist at the business research group. Shares of major residential construction companies rose following strong reports on the housing market. Lennar (LEN), D.R. Horton (DHI) both gained about 4%. Home prices continued to climb in the third quarter, rising 11% from a year earlier, according to the Case-Shiller index of prices in 20 cities. However, the quarter-over-quarter gain slowed to 3%. In the second quarter, prices jumped 7%. Separately, applications for building permits rose 6.2% in October, according to the U.S. Census Bureau. Trading volume is expected to remain low this week as investors prepare for Thanksgiving. In addition, Hanukkah starts Wednesday. "$SPY should see volume today worse than Christmas Eve.....everyone gone home by now," said slowslimslider. With many fund managers gone for the week, some sleepy traders said the market is being run by pre-programed trading algorithms. "$SPY #ZZZZZZZZZZZZZZZZZZZZZZZZZZZZZ,wake me up at 4PM,all I see is Algo's churning! Boring,but again its a Stk. pickers MKT,stay awake!" said 1991previa.